SHINING BRIGHT. 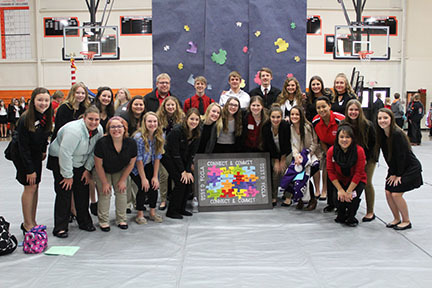 Valley Heights FCCLA members prepare their Star Events for the District Competition. Several members from the club, led by sponsor, Rhonda Joseph, began the process at the beginning of the year. They started the activity by filling out an outline and brainstorming ideas. In November, they began preparation for the projects. Students competing in the Star Event Competition include Sam Hardin, Makenzie Joseph, Robin Roberson, Rylie Borgerding, and Angel Hornkohl. Topics range everywhere from the benefit of bullet journaling to job interviews. At the competition in Seneca, there are thirty-two categories of Star Events. The first-ranked project in each category moves on to the State Competition. “Presenting Star Events allows high schoolers to practice public speaking and people skills, all while speaking about something they are passionate about,” says junior Sam Hardin.